The Broadway Shopping Centre sits in the heart of Bradford City Centre and has over 80 retailers, including a selection of coffee shops and restaurants. It has recently expanded with the inclusion of a six screen Light Cinema. 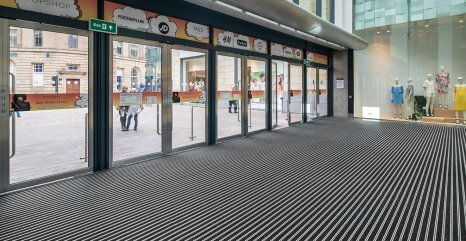 Gradus’ Esplanade 6000 primary barrier matting with Boulevard 6000 wipers in Nightfall was installed at five different entrances to the complex, providing an ideal matting solution for such a busy environment.